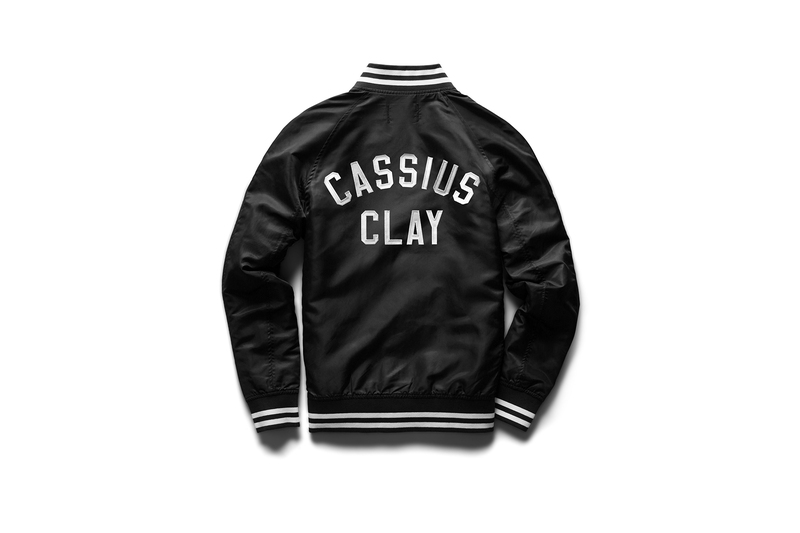 Reigning Champ has prepared an entire collection in homage to legendary boxer Muhammad Ali, born Cassius Clay. Celebrating Ali’s iconic 1964 victory over Sonny Liston, the collection includes prints that allude to the date of the bout — February 25, 1964 — and incorporate them into Reigning Champ’s signature athletic gear. T-shirts, hoodies, cut-off sweat shirts and matching shorts sport a print referring back to the date, along with a large “CASSIUS CLAY” on the rear, with lightweight fabrics ensuring comfort even in warmer weather. A pair of robes inspired by Ali’s warm-up gear make for the clearest nod to the boxing champ, while “SPEED VERSUS POWER” prints on the front of several sleeveless hoodies touch on the imbalanced match-up of the swift Ali against the powerful Liston. Shop the entire collection on Reigning Champ’s website. Most recently, the Canadian label introduced a beach-inspired summer pack. Designed around the outsoles of a 1996 PUMP EVO prototype. With embroidered dragon jacket and trousers. Limited to just 50 models. Picking up where it left off.